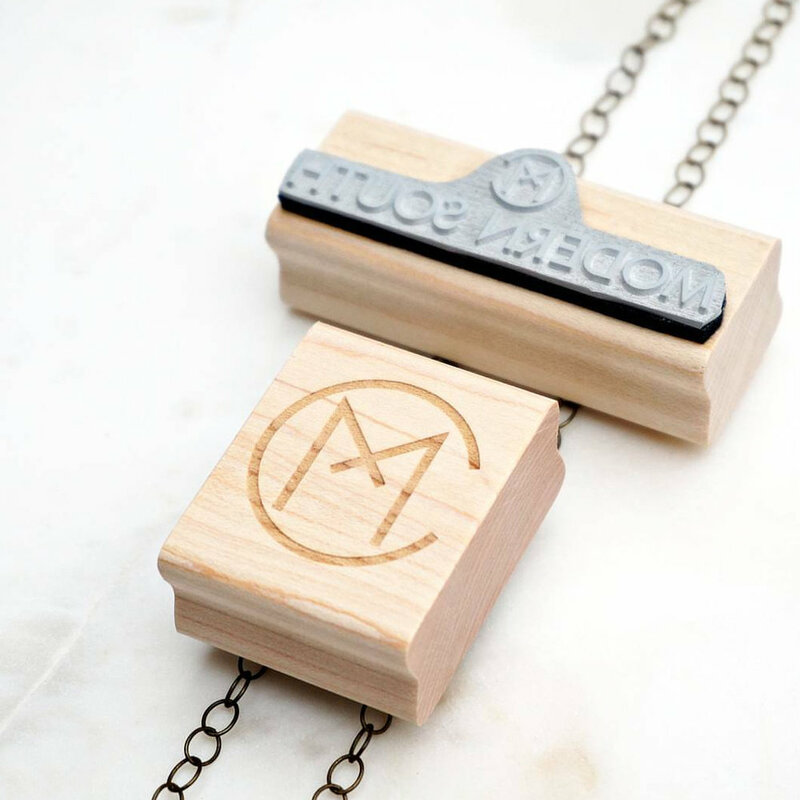 Branded — East Grove Stamp Co. Pardon the mismatched appearance of our personal East Grove stamps, in an effort to not be wasteful, we tend to use scraps to make the stamps that we use ourselves. Packaging is as important to your product as it is to conveying your brand. But packaging doesn't stop at what is housing your products, if you sell e-commerce, you're shipping supplies need to be on-point if you want to look less like a two-man operation working out of your basement and more like an actual company fulfilling orders. The trouble is, printing can get expensive, and when you're a micro-business, printing your branding onto packaging can really eat into your bottom line. East Grove's packaging has evolved over time. We're finally at a fairly cohesive look now that we use a suite of logo stamps on everything that we send out. 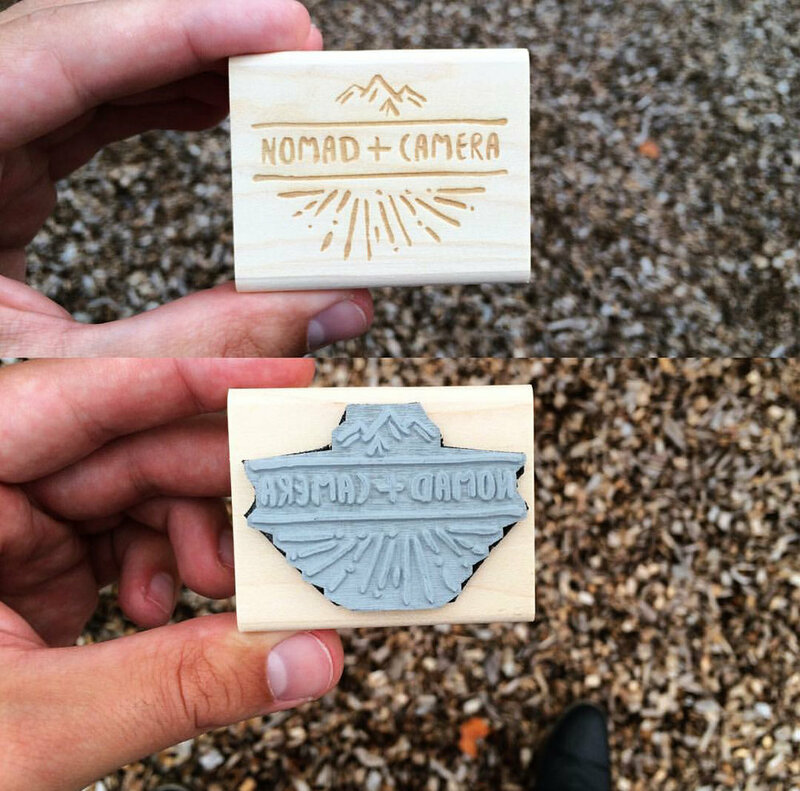 Here's a look at how we use our stamps, and how some of our clients use theirs. While they aren't the easiest to stamp onto, we make sure to add a logo stamp to each mailer. 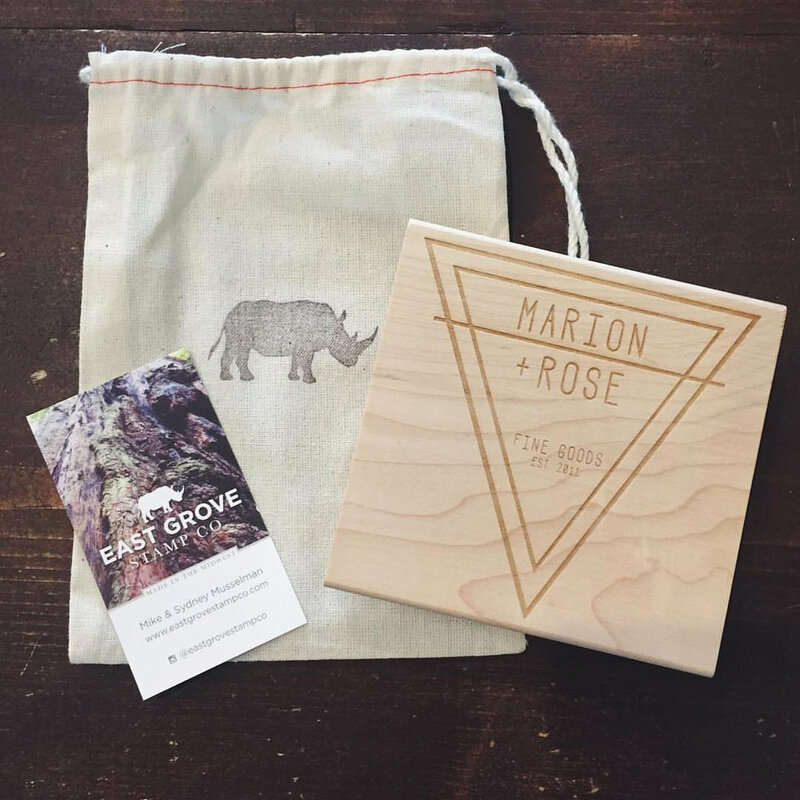 We stamp all of our boxes with the rhino icon from our logo. We like highlighting our icon on packaging elements when we know our logo will be seen inside. A stamp of your business card is incredibly handy for always having cards on-hand. We cut up extra card stock and chipboard to stamp our business card design onto. While we don't actually use our smaller logo stamp for this purpose, I wanted to show how you can achieve a double-sided card. 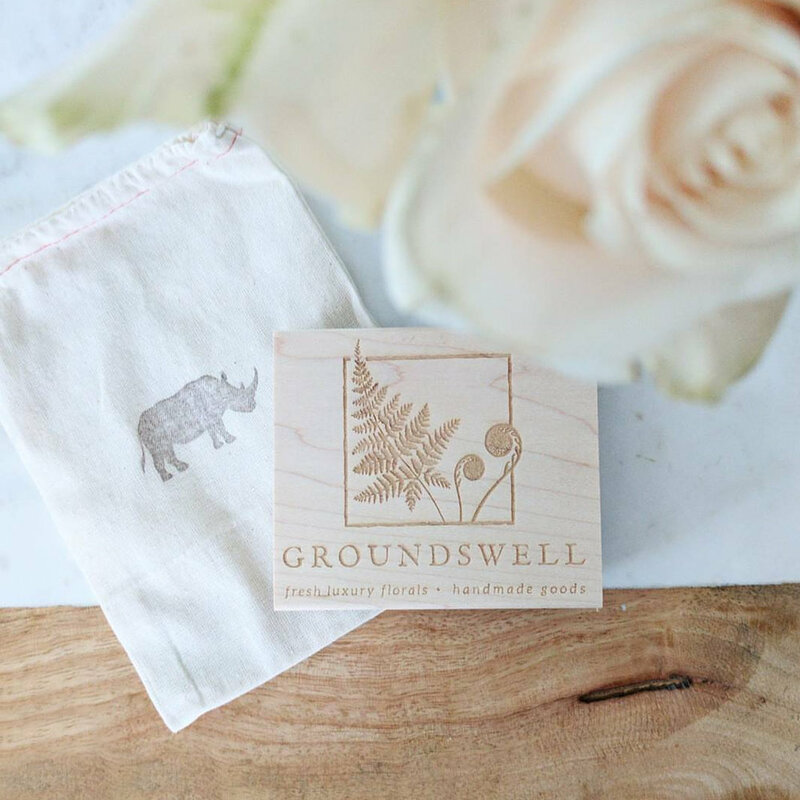 We package all of our rubber stamps and Christmas ornaments in cotton bags that are stamped with our rhino icon. Since the recipient of the gift didn't order from us and might not see the rest of the packaging, we still want to make sure that they know who made the gift that they received, should they want to order from us. Ever since we started hand stamping some of our products, I thought it would be a nice touch to "sign" our work. 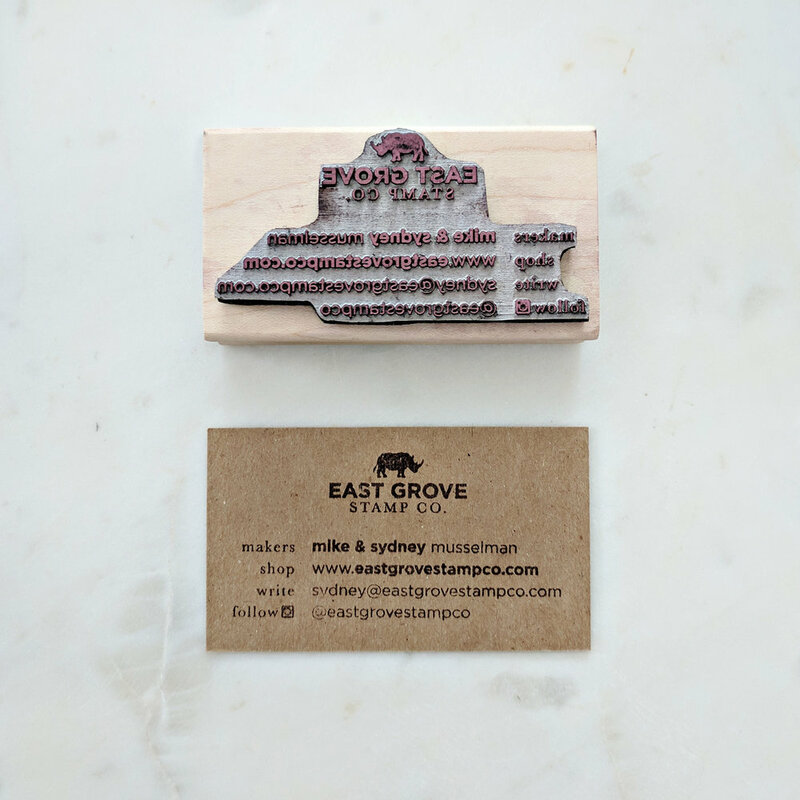 This stamp does triple duty: it's got my signature, calls out that the piece was hand stamped, and has East Grove's name mentioned. When we started working with fabric, we needed a way to call out the care instructions. These tags are attached to our fabric products in-lieu of a traditional sewn tag. 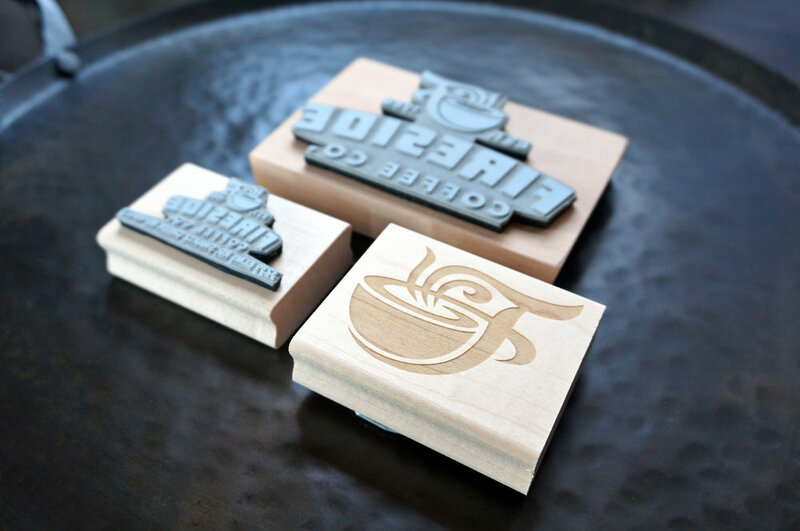 Below are a few of the many stamps that we've made for other makers/artists/small business owners. If you have a business that could use a stamp or a suite of stamps, shoot me an message with the details, I'll give you a quote, and we can get started.